For fans of cruises - our shore excursions group st petersburg russia. The medieval city Starenky or it still call the Internal city (Innere Stadt) – this foot route passes at 3-4 o’clock through an old, medieval part of the internal small town where Babenbergami has been based the 1st ducal residence and where the oldest city churches are concentrated. From St. Stephane’s cathedral we turn in Shtok Square direction to them Ayzen who from South side borders on Shtefansplats Square. Having passed повдоль a glass facade of the house of Haas, we get on a Graben, one of the main shopping streets of the internal small town. Innumerable street cafes were based on the wide area in a foot zone. The structures located here belong more to the 2nd half of the XIX century. An exception 1720 (No. 11) and Generalikhof (No. 13), one of the first houses, constructed in style of classicism in 1781 where there is a company shop to Knitsa which interior is issued by A.Loosom make a palace in Baroque style Bartolotti-Partenfeld. Laos also has issued the toilets located underground in modernist style which are included into number of sights of Vienna. But in the centre though what Graben photo you by all means find the Column of the Holy Trinity (A plague column) in Baroque style. Two fountains located ahead of and behind a column, Leopold’s fountain and Joseph’s fountain, in 1804 have been decorated by Martin Fischer lead figures. Through the lane on the right it is possible to behold St. Peter’s baroque church which has taken here the place despite of narrowness of medieval small streets. Behind church we turn off to the left, on rather narrow street to Tukhlauben where in the house No. 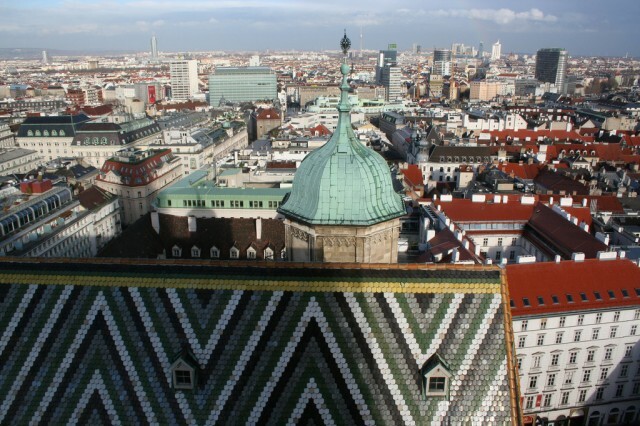 19 it is possible to admire Neydkhart’s frescos, and then to proceed through Shtayndlgasse and Zaytsergasse to Shulkhof. 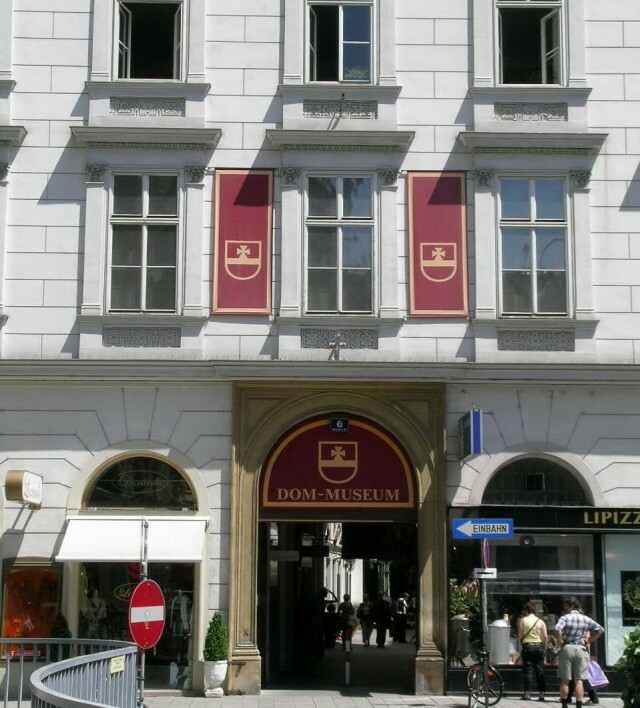 At the corner of Kurrentgasse there is a museum of hours, on Shulkhof No. 2 – a museum of dolls and toys. To the right of church there is a pass to Am Square Hof. The continuous chain of houses including as well church of 9 angelic choruses is noteworthy. Before us the area adjoining on a back facade of the former Bohemian court office, on the main facade of the office, the going out of doors Viplingershtrasse it is possible to behold the coats of arms of Bohemia and Moravia, located over a stately portal and the forged balcony. On the contrary, at the other side of the street, we will pass by a structure of the Old town hall further to Salvatorgasse where the fine view of the highest and magnificent building of church Maria ам to Geshtada, with filigree a Gothic spike reveals. Passing Salvator’s chapel (an entrance portal of an era of the Renaissance) we will reach Mark Avrely Street. In Vindobona who was constructed at the time of the Roman Empire and settling down around present Hoyer Square Markt, there lived governor Mark Avrely who was lost here in 180 g. The Roman excavation in the house 3 on Hoyer Square Markt testifies to bolshenny value which was given at that time to this place. In 1945 Hoyer Markt has been actually absolutely destroyed, only the Wedding fountain and the house of the insurance office Anker which sight are hours, remained untouched. According to Yudengasse with her benches of ragmen not so far to the oldest church of the small town, St. Ruprecht’s Romance church. From a past in the true: we are in the "Bermuda Triangle" – the quarter located around Ruprekhtsplatts, Rabenshtayg, Zaytenshtettengasse, Zaltsgris which thanks to a large quantity of vegetable marrows, beer and bars, musical platforms and cabaret became the typical centre «Vienna scene». 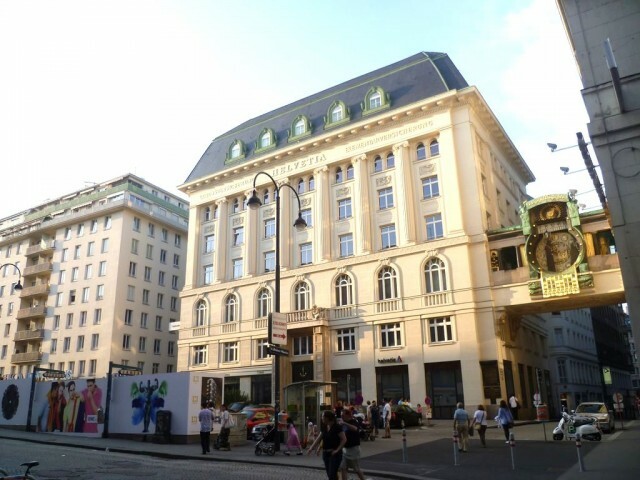 Having passed according to Zaytenshtettengasse, the centre of the Vienna orthodox Jewish community with a synagogue, you get to the Greek church (the Byzantian facade of work of Theophila van Hansen). The Greek vegetable marrow located in the neighbourhood mentioned in documents of the XV century, draws the colourful look. Snutri on walls was left by the autographs eminent guests – Mozart, Strauss, Grilpartser, Mark Twain, Albert Einstein. Cross Flyayshmarkt – the house No. 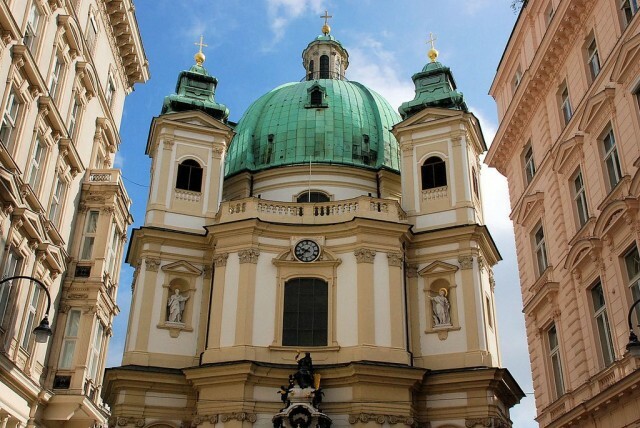 15 in Baroque style where painter Moritz background Shvind was born – and leave to Postgasse Street where sacred Varvara’s constructed in the XVII century the Greek and Catholic church rises. From here the church of Dominicans is visible. 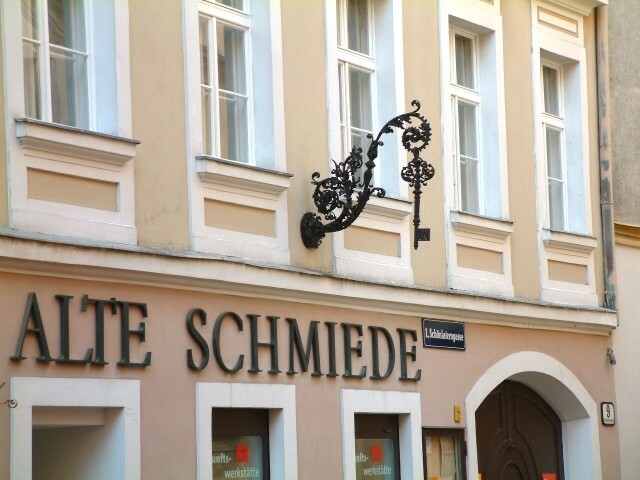 We turn off on Shenlaterngasse, one of the most beautiful corners of old Vienna and popular restaurant quarter. On the house No. 6 it is possible to behold a copy titled the street «Fine lamp», the house of the Basilisk will tell a legend about this monster, the house No. 9 – the Ancient smithy, a museum and the literary centre. Hayligenkroytserkhof it is possible to get to a powerful structure of a yard, having passed through silent Shtiftckhof. 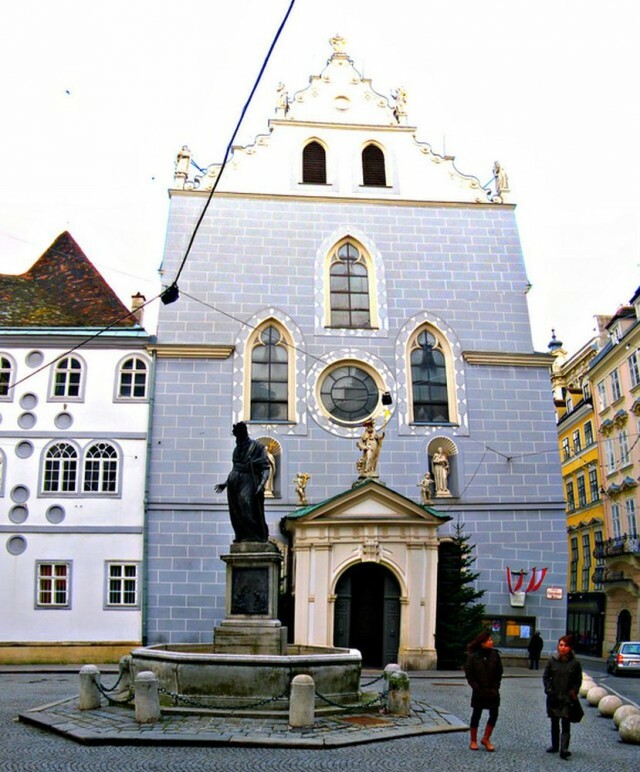 Passing Zonnenfelzgasse, we go further, to Ignats-Zeypel-plats Square which decorate church of Jesuits, last monastery of Jesuits, and a building in style of rococo – Academy (starenky Institute). Having passed Bekershtrasse, Essiggasse and Voltsayl, we appear near a palace of the Archbishop and Tsvettlkhof (the former monastic farmstead of monks-tsistertsiantsev from a nizhneavstriysky monastery of Tsvettl) where the Cathedral and diocesan museum is placed. 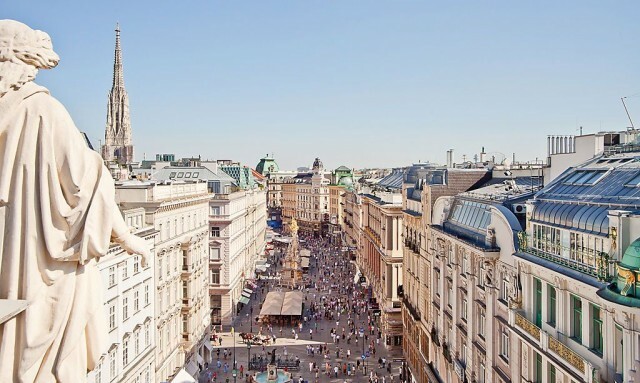 On located near Domgasse we pass by Figaro’s House and, passing Gryunangergasse Street, we continue our route towards Zingershtrasse. The corner house on Zingershtrasse is former Dvortsom Rottal XVII century, the monastery of Franciscans which the church of Franciscans adjoins is opposite placed. On Zingershtrasse Street also there is a fine Palace Noypauyer-Broyner in Baroque style, and at the other side of the street – medieval Fenrikhskhof. From Blyutgasse’s adjoining small street through the small passes conducting to houses, it is possible to get to Fenrikhskhof’s small internal court yard.